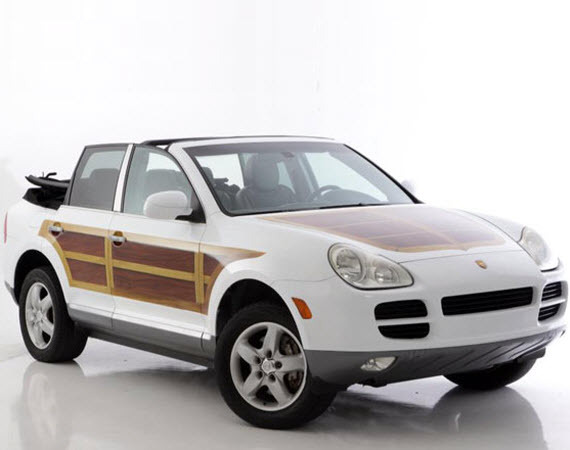 The idea of a Cayenne convertible while a bit unconventional, isn’t unprecedented. Nissan somehow brought the Murano CrossCabriolet into production, and trucks like the Jeep Wrangler sell exceptionally well. That’s not to mention the fact that firms have been converting existing hardtops into convertibles since the beginning of the car. It is an idea that builds on the oft romanticized “getting out and enjoying the great outdoors”. I’ve been known to drive a convertible from time to time, and I must say, there is hardly a better feeling than that of leaving work at the end of a particularly long day and dropping the top of your automobile, sliding on a pair of dark sunglasses, and motoring for the sake of motoring. Whether on a hot summer night tour through the back roads, or a simple trip to the grocers for the week’s shopping, a convertible can certainly lift spirits. With all of that said, I don’t know how I feel about this one. 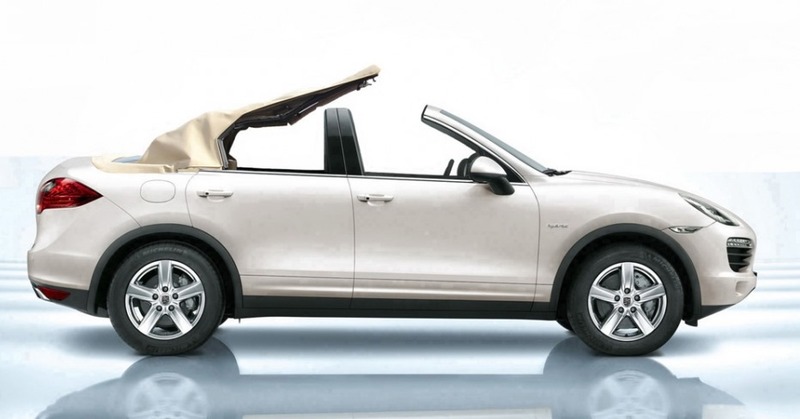 NCE (Newport Convertible Engineering) has shown concept art of their Cayenne conversion for prospective clients, and have successfully converted one first-generation Cayenne into a Cabriolet. Though they don’t advertise a cost for the nip and tuck procedure, I cannot imagine it being inexpensive, and as they say, if you have to ask, you probably cannot afford it. 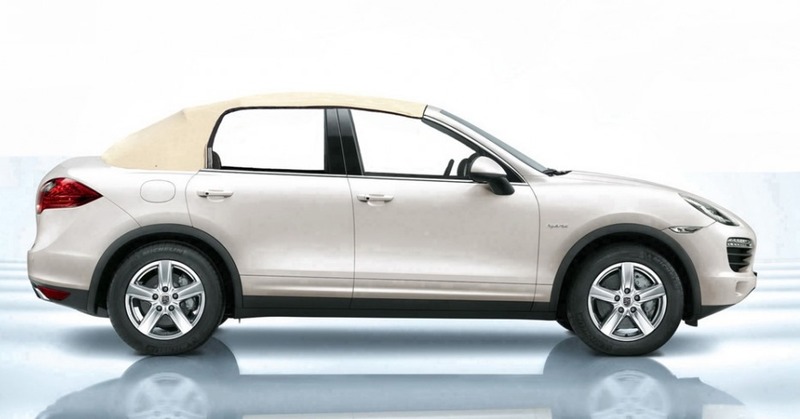 This cabriolet version of the “great-for-an-SUV” Porsche Cayenne has thrown me for a loop. On the one hand, I love open top motoring, yet on the other, I cannot help but think what the Porsche had to give up in order to achieve this. It is surely less structurally rigid, even with chassis reinforcements. It must be much heavier, and the Cayenne is already a relatively heavy truck. Cargo space is gone, which is much of what makes an SUV attractive. Some comfort will be sacrificed, as a convertible top will surely create more wind noise, though that is the case with all convertibles. It is a bit of a conundrum. What do you say, would you drive one? Is Your Porsche Ready for the Zombie Apocalypse? This Cayenne is! U.K. Panamera Owner Wraps Porsche in Suede; Turns Every Drive Into a Rain Dance. EVERYbody loves a woody, dang that’s “special”. I’m just scared because we love our ’85 Jeep Grand Wagoneer’s look and this isn’t too far off. Couple that with the fact that the Panamera Cab is growing on me and I’m going to have to give back my “Purist” License plate!! Color me fuddy-duddy, a “Purist” at heart. 😉 A Panamera Cab makes sense like an E550 Cab does though, I’ll give you that.